Shine Trimmings & Fabrics is open Monday – Friday 9.00am-5.00pm and Saturday 9.00am-3.00pm. We are not open on Sundays or Victorian Public Holidays. Do I have to be a member to place an order? If you are a new Shine Trimmings & Fabrics customer and do not wish to create an account, you can still place an order as a guest shopper. By shopping as a guest, you are not remembered by the website and will miss out on future promotions, special events & offers. Go to the My Account page and click on the ‘Lost your password?’ link. Enter your username or email address and click the Rest Password button. You will then receive a link to create a new password via email. Select the ‘Click here to enter your code’ link at the order checkout page, enter your coupon code and click the ‘apply coupon’ button. Your coupon discount will then be added to your order. No discounts can be redeemed once payment has been made so be sure to contact us before you make payment if you are have any issues applying your code. Coupon codes are not available in conjunction with any other offers and exclude sample cards and 40mt bolts of net. Shine Trimmings & Fabrics accept the following secure payment methods for the Shine website – MasterCard, Visa or PayPal. We have security measures in place to protect your personal information including firewalls and SSL encryption. We do not store credit card details; therefore we require payment details each time an order is placed with Shine Trimmings & Fabrics. Alternatively, we provide bank account details if you would prefer to transfer the payment directly into our bank account (Direct Debit). For in-store purchases, we accept MasterCard, Visa, Eftpos and cash. Please note should you choose to pay using Direct Debit we cannot process your order until the funds have cleared in our bank account (typically this takes 2 business days). All prices on the website are quoted in Australian Dollars (AUD) including GST. If you have placed an order via Phone, Email or Fax and it has yet to be processed, then you can add to your order. If an order has been placed online, you cannot add to your order or make any changes once the order has gone through the checkout procedure, (you can of course simply create a subsequent order to add additional items). Shine Trimmings & Fabrics are happy for customers to place orders for items, which are out of stock, or larger volumes as required. Once staff confirm stock is available and can be ordered, a customer order form must be completed. Shine Trimmings & Fabrics will advise when the products are expected to arrive in store. A 50% deposit is required before stock is ordered. Once stock arrives, we will notify you immediately to arrange balance of payment to be made and collection of the goods. If goods are required to be sent, we will advise of the shipping options that are available to you. You can decide what length you require by entering the meterage in the Length Required Box on the website. Our products are sold by ten centimetre increments. 1.1, 1.2, 1.3mt etc Therefore if you need one & a half meters, enter 1.5 using a decimal point. Shine Trimmings & Fabrics cannot guarantee colours to be exactly the same as you see on your screen. Shine Trimmings & Fabrics take reasonable care to make sure each product photograph is true to life when it is published on our site. Please note however that product images may appear differently on the screen of your digital device. If you are unsure or if colour matching is highly important we are happy to send you samples of our Trimmings or Fabrics. If you find a lower price for the exact same product in Australia, we will beat it by 10%. You must provide current advertising material or a genuine & recent signed quote, clearly showing the product & price from another retailer. Once staff has confirmed the goods are identical, we will then discount the price. This offer cannot be used for special customer orders, bulk purchases or Wholesale purchases. And cannot be used in conjunction with the Shine VIP Backstage card or any other promotional offer at Shine Trimmings & Fabrics. All prices are in Australian dollars ($AUD) & include GST (Goods & services tax). If you are looking for something and cannot find it on our website, chances are we may have it in our retail store located at 421 Graham Street, Port Melbourne, VIC, 3207. As it is impossible to showcase our full range of products on the website due to limited stock or small quantities or we just haven’t had a chance to publish it. Call us on 1300SHINE1 to enquire. If we do not have it in stock, we will order it or source it for you. Our experienced buyers travel the world sourcing new & exciting products. This is why our range of products is growing each week and new stock is constantly arriving. Keep up to date with what’s happing and what products are new to Shine, via our Facebook page, Instagram account or our many other forms of social media. 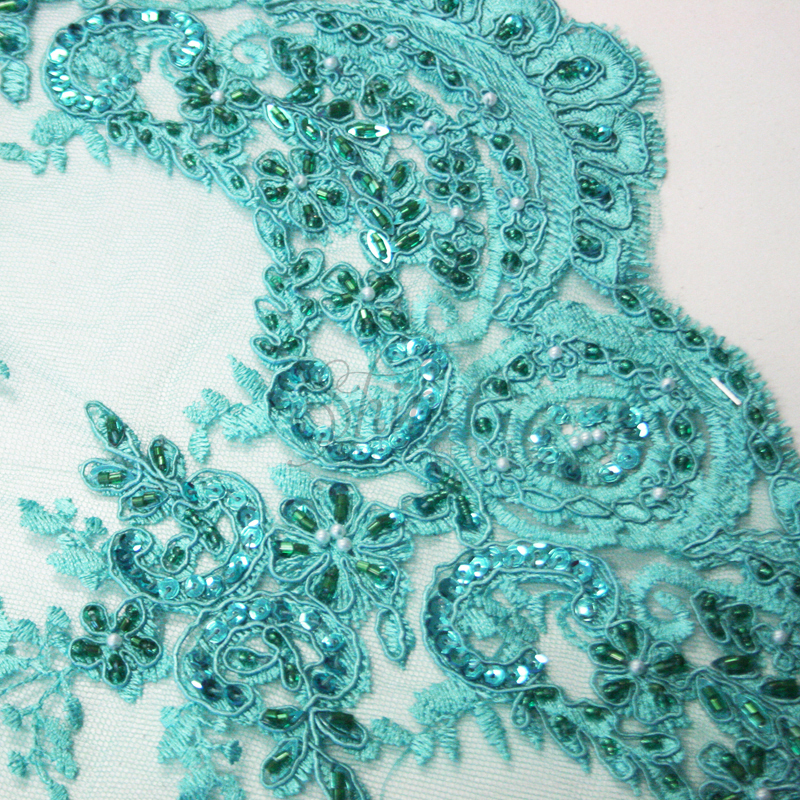 Shine Trimmings & Fabrics endeavour to keep our stock levels up to date on the website. However occasionally there may be a discrepancy. We will process orders as they come in (on a first come first served basis) and if goods are not available Shine Trimmings & Fabrics will contact you at the first available opportunity to offer you an alternative product, if the stock is discontinued and no longer available, or if the products need to be ordered or have been ordered from our suppliers and more stocks are arriving at a later date, we can advise you of the projected delivery times. If for some reason we cannot offer you a suitable alternative, we will process a refund using the same form of payment used for the original order. We will begin preparing your order immediately after it is placed making it difficult to cancel or amend your order. Once the order is confirmed and paid for it is considered final. If you would like to cancel or change your order please contact us immediately and we will do our best to support your request on a case by case basis, however if we have begun preparing your order this will not be possible. Unfortunately coupon codes are unable to be redeemed once your order has been completed and payment has been received. If you are having trouble applying a coupon code please contact our customer service team or info@shinetrimmingsfabrics.com.au before you finalise your order. Please note: If you experience an issue after hours with your coupon email us within the sale time and we will provide you with the discount at the next available opportunity regardless of the when your order is finalised. 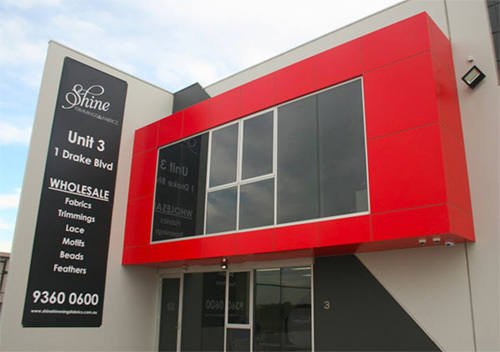 Shine Trimmings & Fabrics have a fully fledged wholesale division located at our Altona Warehouse & supply goods to business’s throughout Australia & beyond. 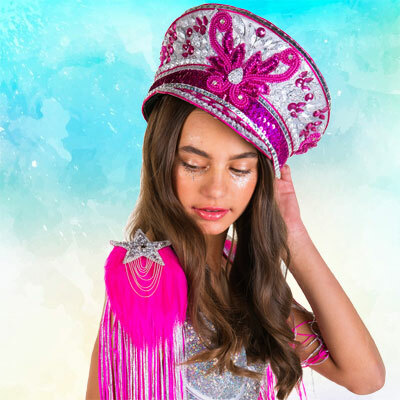 If you are an established clothing/costume manufacturer or fabric retailer and would like to register for a wholesale account with us please visit our Shine Wholesale Information page where you can apply for a wholesale account. 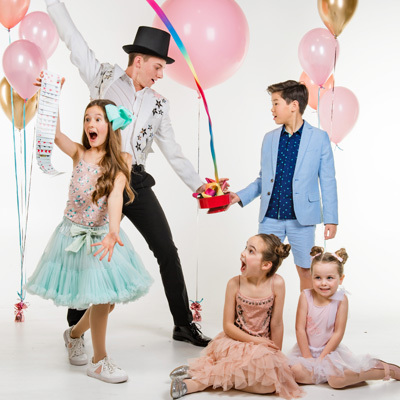 General trade enquires can be answered by contacting the Shine wholesale team on (03) 9360 0600 or by email at wholesale@shinetrimmingsfabrics.com.au. Please note: Only established and bonafide retailers and/or manufacturers will be considered for a wholesale service with minimum quantity order values applied to all wholesale orders.